Save Your False Eyelash Clippings! 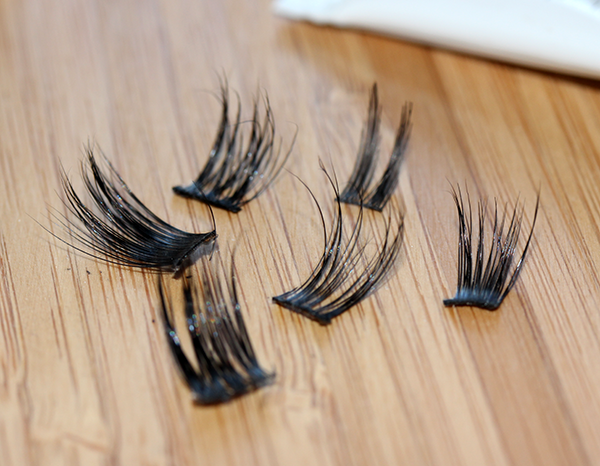 After you’ve cut the little pieces off the ends of your false eyelashes, you generally throw them away, right? Don’t! There’s a way to use them! And create an entirely new look for yourself in the process. Use the clippings with your own natural eyelashes and apply them into the outer corners of the eyes for an added doe-like effect. You can do this anytime of the day and the small addition of the clippings can really help to open your eyes without looking fake or over the top. If you want a little more drama in your special occasion looks, or perhaps a date night out, apply your regular strip of false eyelashes and place a couple of clippings over the outer corners. The great thing about using the clippings to achieve either of these looks is you can make your own custom arrangement. Use longer clippings for the outer edges and medium length ones to balance it out. Try varying lengths to see what works best for you. You might actually find that you like the clippings even better than the full strips themselves! Have fun!